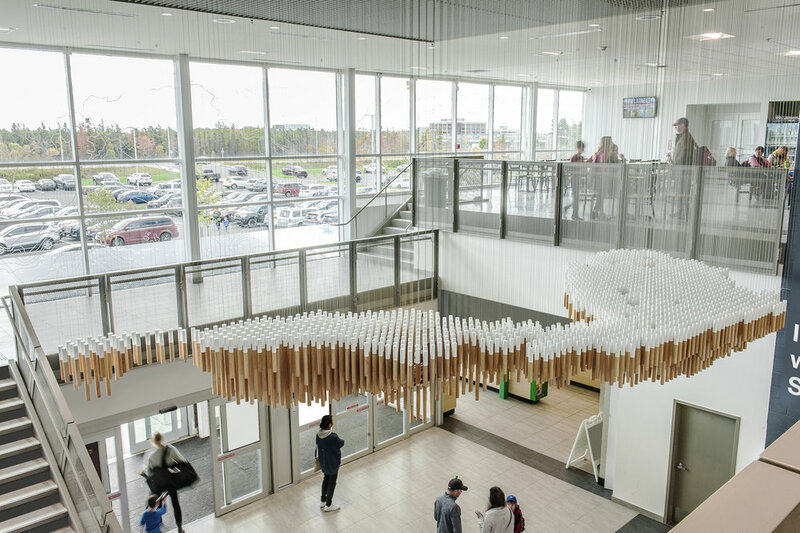 CITY OF LAKES was the winning competition entry for a series of public art pieces at a new civic four-pad arena in Dartmouth, Nova Scotia. 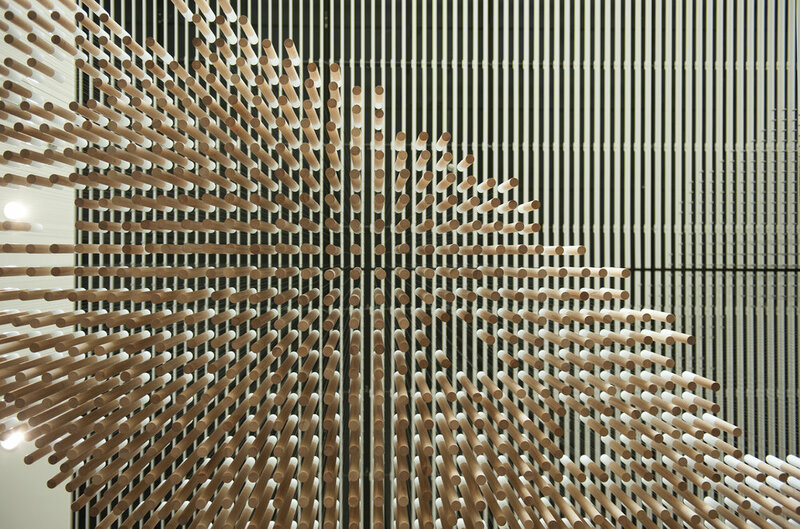 The project consists of three distinct installations - a supergraphic, a suspended sculpture, and bicycle racks. This piece is composed of approximately 1800 individually suspended elements that simultaneously map the surface area and the depth of some of Dartmouth’s most significant skating lakes. Crafted from hand turned yellow birch rods and powder coated aluminum caps, this sculpture conveys the concept of the ephemeral ice that marks the surface of these lakes each winter.